Sleep issues are one of the most common things we see people suffering from. Sleep is crucial for good mental, physical, and emotional health, and chronic sleep deprivation can greatly impact your health. There are many potential reasons for the rise in insomnia, with stress and anxiety being the most common. Fortunately, there are many things you can do that may help you sleep better. Insomnia is often used as a general term for a broad range of sleep issues. It may be trouble falling asleep, trouble staying asleep, not feeling rested upon waking up, unable to fall back asleep after waking up, lying awake for long periods of time during the night, etc. Some people experience this for a night or two every once in a while, which is usually due to a stressful event. However, some people suffer with these problems nearly every night. This can lead to sleep deprivation, which can cause fatigue, food cravings, difficulty concentrating, and irritability. 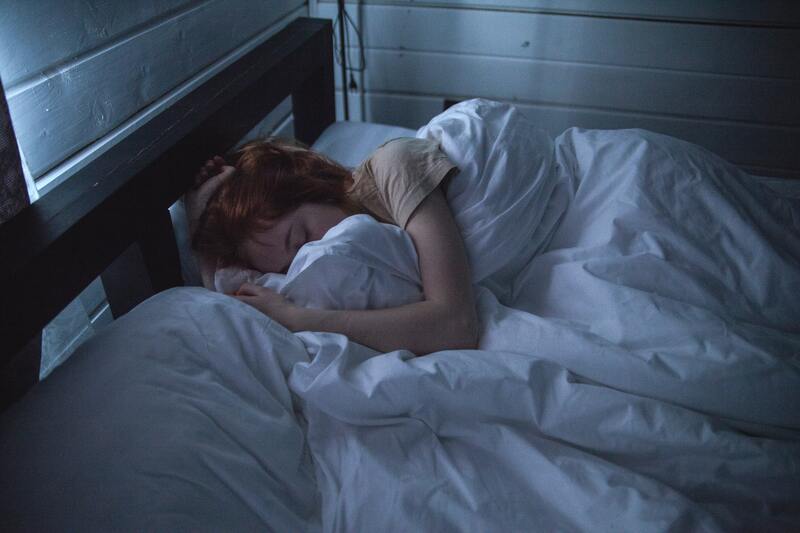 Chronic sleep deprivation can also contribute to high blood pressure and weight gain, and may increase your risk of experiencing a stroke, diabetes, or a heart attack. First, let’s talk about what can cause insomnia. As with most problems, sleep issues have many possible causes ranging from adrenal fatigue, to anxiety, to liver sluggishness, etc. When these issues are addressed and improved, it usually becomes easier to fall asleep and the quality of sleep often improves. Trouble sleeping and poor sleep quality may also be due to certain medications, drug and alchol usage, restless leg syndrome, sleep apnea, asthma, allergies, stress, anxiety, and shift work (switching between working day shifts and night shifts). If you’re consistenly not sleeping well, you should ask yourself these questions: Am I having trouble breathing? Am I waking up during the night, and if so, what time do I usually wake up? Am I getting up more than once to use the bathroom? Answering these questions may help you figure out what’s causing your sleep issues. Kavinace Ultra PM – Kavinace contains a blend of ingredients designed to help promote GABA activity and synthesis which may help you fall asleep faster, sleep longer, and have better quality sleep. Best-Rest Formula – Contains GABA, lemon balm extract, valerian root extract, l-theanine, and several other ingredients. These ingredients may make it easier for you to relax and fall asleep, and may help improve sleep quality. Energy Xtra – Contains ashwagandha root extract, rhodiola root extract, and other ingredients that may help promote energy on the days you need an extra boost due to lack of sleep or other reasons. There are steps you can take to help your insomnia, but determining the cause is crucial to fixing it. So, pay attention to your sleep patterns, stress level, and caffeine and alcohol intake, get your blood work done to see what needs to be optimized, and try out some supplements! Don’t forget to listen to our Chasing Sleep podcast here.